A strong chin has traditionally been regarded as a sign of strength and success, which might help explain the increase in demand for chin implants or chin augmentation. The chin and jawline are often the first areas to show signs of ageing and this procedure is perhaps therefore more popular with the over 40 age-group. Achieving a more prominent chin is not just confined to silicone implants anymore either; injectable fillers also provide an aesthetic boost, which can also help explain the hike in popularity. Chin surgery, also known as mentoplasty, is a fairly simple and safe procedure and can be performed using a transoral approach, which does not leave any external scars. Implants are available in different shapes and sizes to achieve the desired aesthetic result. Implants don’t slip or dislodge over time unless there has been some facial trauma but facial trauma is common especially in Australian society as we often play high impact sports and a dislodged implant needs to return to theatre. These procedures are easy to reverse. Filler can be dissolved if we have used that and implants can be removed quite easily in a clinical setting if patients don’t like them. However, this would be the exception and not the rule and we make sure patients are going to like them with digital imaging preoperatively to show them what their appearance would be like following the procedure. Chin surgery is by no means a new phenomenon, Hollywood legend Marilyn Monroe is reported to have undergone cosmetic surgery to her chin and more recently, Mickey Rourke and I suspect a lot of celebrities have had injectable options in recent times. If you look at Leonardo DiCaprio in early films such as Romeo and Juliet or Titanic and compare that to later films or recent movies like the Great Gatsby, he certainly has a stronger more defined chin and jaw line and it really changes him from his boyish looks in those earlier films to a more ‘masculine’ appearance in the later movies. 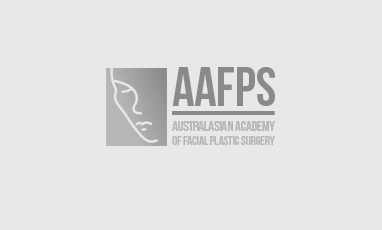 Facial balance and aesthetics is key in any kind of facial surgery. 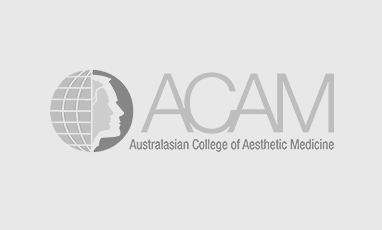 “A plastic surgeon may recommend chin surgery to a patient having nose surgery in order to achieve facial proportion, as the size of the chin may magnify or minimize the perceived size of the nose,” writes The Australian Society of Plastic Surgeons. It is important to consider both the nose and chin; when you alter one, it can dramatically affect the other. For example, when Aussie star Iggy Azalea appeared at the 2015 Billboard Music Awards, rumors were rife that the singer had undergone chin surgery. However, she later admitted to having had a ‘nose job’, so the change in the appearance of her chin was in fact due to a rhinoplasty.